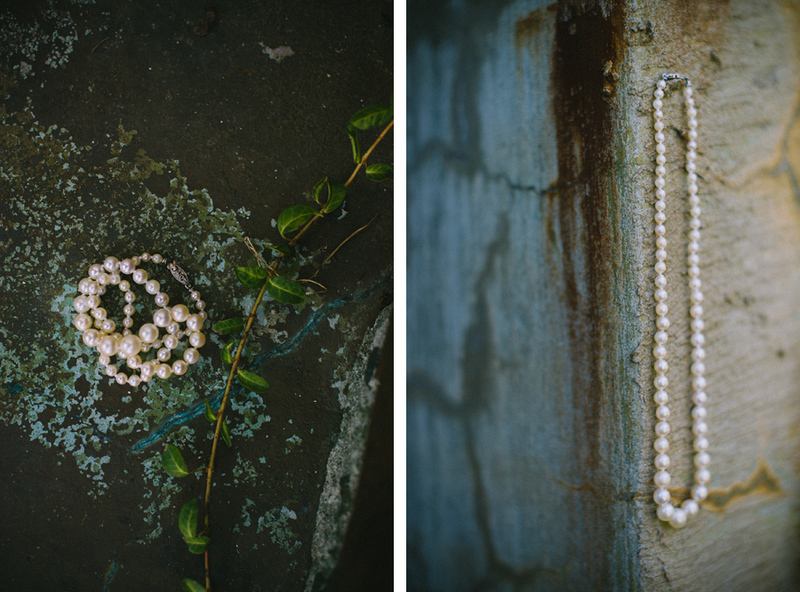 When Mandy and Sean contacted me to photograph their June wedding last summer, I knew that we would be collaborating on some beautiful imagery. 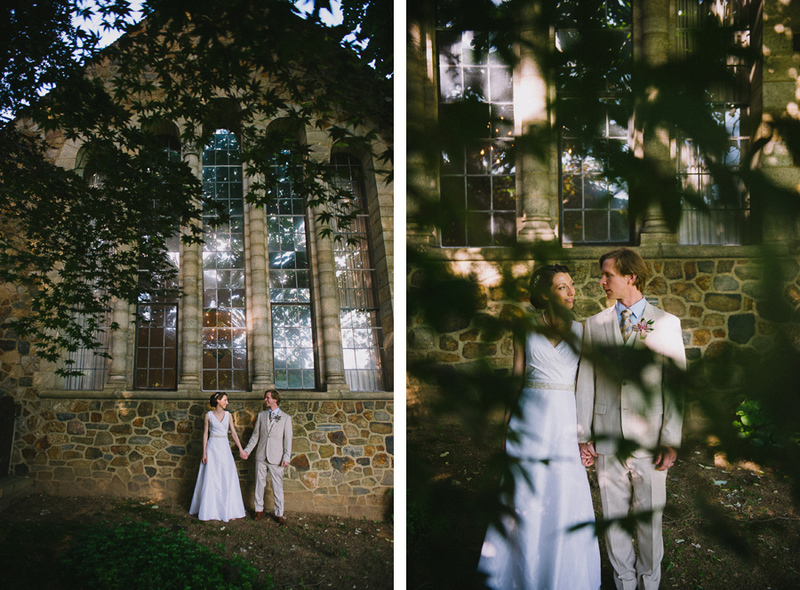 They had chosen The Lord's New Church as the location for their ceremony and reception; the chapel and grounds there are just beautiful. In addition to the rare opportunity to photograph on the church property, I was also excited to document Mandy's unique gown. Mandy graduated from Philadelphia University with a degree in Textile Engineering. It was only natural for her to make her own wedding gown! The elegant simplicity of the gown fit the venue perfectly. I loved the silk fabric and belted detail that Mandy literally sewed on after stepping into her creation. In fact, some of my favorite moments of the day were documenting Mandy, her mother and mother-in-law putting together the finishing touches. Following the Christian ceremony, Mandy and Sean stepped away for a few private moments while their guests were ushered by the Gin Canaries, who literally serenaded everyone parade style back to the reception. 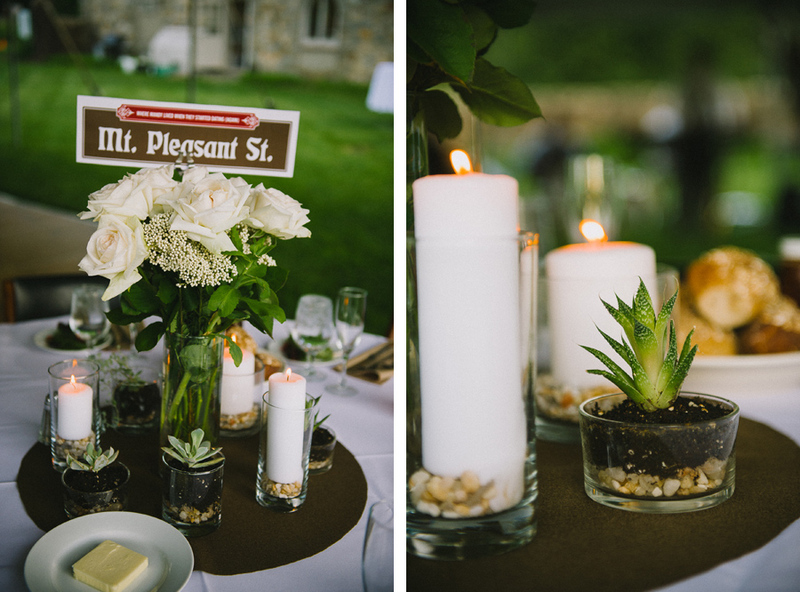 Reception details included soft, rustic elements featuring succulents and table numbers featuring special Philadelphia neighborhoods with significance to the couple's relationship. While guests enjoyed a relaxed cocktail hour, we continued photographing Mandy and Sean's alone session around the property. 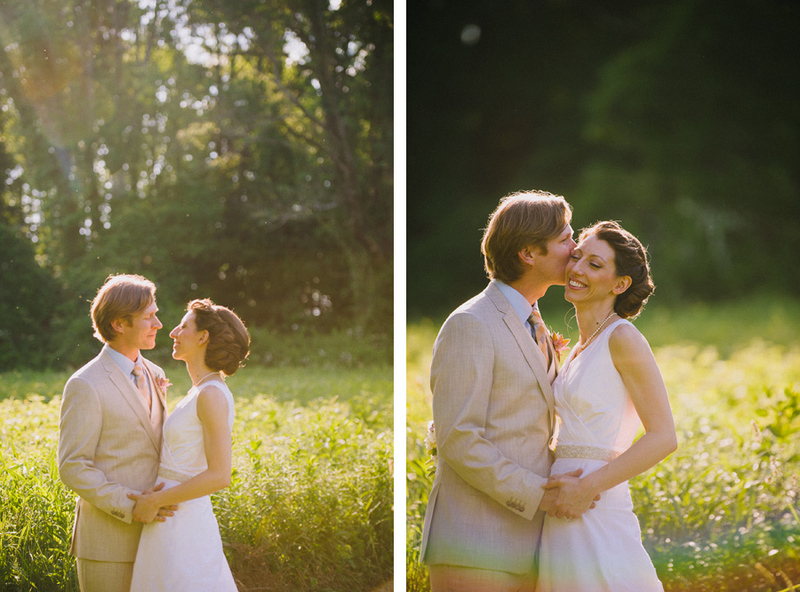 The light was gorgeous and I really felt like our session expresses the love and joy Mandy and Sean felt in that moment. 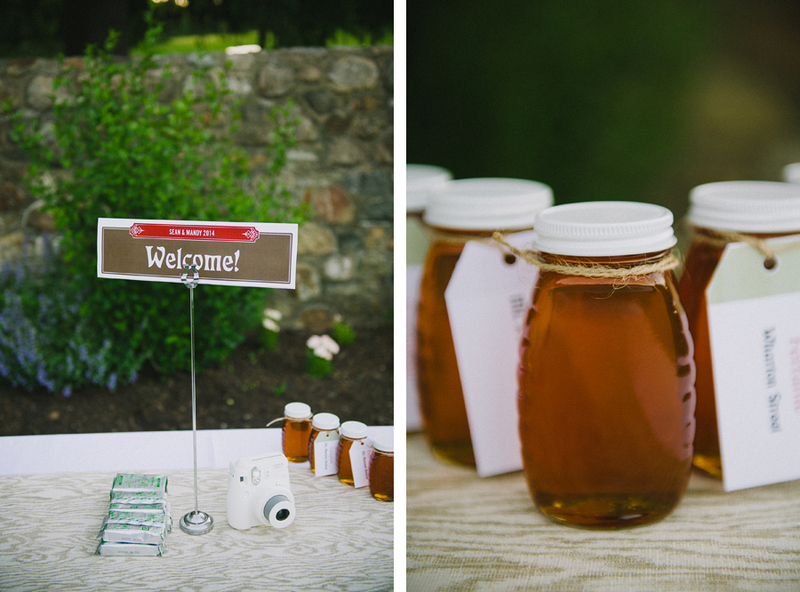 This wedding truly spoke to me. Enjoy! ~ from the bride ~ "We really feel lucky for our incredible, multi-talented family and friends who have helped us with the planning of our special day and for all the love and support they give us everyday. We are so excited for them to be there with us to celebrate our love!"